The term dependent refers to the influence of gravity on this medical condition. Thus, the most common place for dependent edema to occur is in the lower part of the body. In a patient that is able to move around, the swelling of dependent edema will be most apparent in the lower legs and feet. If the patient is bedridden, the fluid buildup will manifest in the both the lower back and the back portion of the thighs. Dependent edema will also be visible in the face of the patient. This condition affects almost six million Americans with 670,000 new diagnoses made each year. (4) It is also the leading cause of hospitalization for those over the age of 65 years. Congestive heart failure takes place when the pumping power of the heart is decreased. Blood then moves through the heart and the body at a slower rate than is optimal. A pressure in the heart increases, preventing the heart from providing the oxygen and nutrients that the body needs. In response to this higher pressure, the heart’s chambers may stretch in an effort to hold more blood. They may also become stiff and thickened. While blood may be able to move more effectively as a result of these physical changes, the walls of the heart will become weak and will not pump effectively. The kidneys will react to this as a crisis situation and will cause the body to retain fluids, leading to dependent edema. If the fluid buildup occurs quickly, you may experience fluid accumulation in the lungs. This condition is known as pulmonary edema. Your kidneys are responsible for the removal of all wastes and extra fluids from the body. If poor kidney function is the cause for dependent edema, the fluid buildup will be first noticed around the eyelids, especially upon rising in the morning. 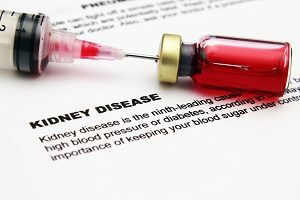 High blood pressure caused by congestive heart failure and diabetes are the two main causes of kidney damage. 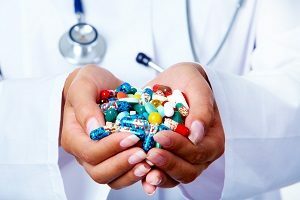 Dependent edema can be caused by certain medications. Venous insufficiency caused by weak valves in the peripheral veins of the body can lead to edema. Peripheral veins are located in the extremities of the body — the arms, hands, legs, ankles and feet. If the blood is stagnating in these areas, it may leak into the surrounding tissues, leading to swelling of the area. Varicose veins are a prime example of weak valves. If you sit or stand for long periods of time, you may also experience fluid accumulation in your legs and your feet. Your lymphatic system is a complex system of tissues and organs that removes toxins from the body and aids in the elimination of waste materials. The main function of the lymphatic system is the transportation of lymph, a fluid that contains cells responsible for fighting infection. If the lymphatic system is slow, the white blood cell-containing fluid is unable to move efficiently through the body. It will pool instead, leading to edema. Cirrhosis of the liver is a serious condition caused by damage to the liver cells. These damaged cells become hardened, leading to the formation of scar tissue in the liver. Cirrhosis of the liver is often the result of excessive alcohol consumption or hepatitis. As the liver cells turn into scar tissue, they lose their ability to function correctly. 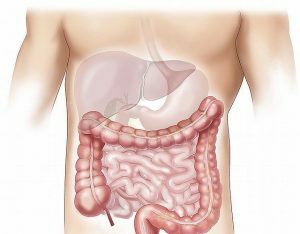 Although the liver is the only organ in your body that will regrow if part of it is removed, cirrhosis is a degenerative disease that is irreversible. There are several symptoms that attend this condition. More severe cases can be treated with drugs designed to help your body to remove the excess fluids through your urine. One of the most common drugs for treating edema is Lasix (furosemide). Other management techniques for long-term treatment will depend on what caused the swelling in the first place. In order to determine the cause of your edema, your healthcare provider will perform a physical examination. He or she will also look over past medical records. These two steps are usually sufficient to determine the underlying cause of your condition. If your situation is more complex, you may need an X-ray, a blood test or a urine analysis. If you are investigating initial treatment for your edema, start by scheduling an appointment with your family doctor. Before you make the appointment, take these steps. Ask if there is anything the doctor wants you to do to prepare for the appointment. Some tests require special preparations. Make a complete list of all the symptoms you are experiencing. Include those that may seem irrelevant to you. The doctor may find a key to your treatment based on a seemingly trivial symptom. The above list should include all pertinent medical information such as current medications, the names of all the vitamins and supplements you are taking and any other conditions for which you are receiving treatment. Make another list of questions you wish to ask your physician. Bring paper and a writing implement with you to capture any information the doctor tells you regarding your condition. How do you plan to treat it? Will my treatment cause additional problems to crop up? What tests do you suggest? Will I need to follow certain protocols for these tests? Your doctor may ask you some of the following questions. Does your swelling occur in a single part of your body or all over? Have you ever had this condition in the past? What does your normal diet consist of? Does anything make your symptoms feel better? Do you consume salty foods often? Does the swelling decrease when you raise the affected area above the level of your heart for half an hour or more? Using the muscles in the affected part of your body can help move the extra fluid back to your heart. Your doctor can tell you about exercises that will help reduce the swelling. Elevate the affected area above heart level several times a day. If you can, elevate while you are sleeping for maximum benefit. Consider performing self-massage on the affected area. Use firm yet gentle strokes pulling toward your heart. This should not be painful. The motion can help move extra fluid from the area. If you have edema in certain areas of your body, your doctor may recommend that you try using compression garments such as stockings, sleeves and gloves. Compression garments prevent fluid from collecting in the affected areas of your body, thereby decreasing the symptoms of edema. Because your body is not operating at peak efficiency, it is more prone to infections and bacterial invasion. Keep your skin clean and moisturized. Dry and cracked skin can easily become infected and compound your condition. Because edema can lead to dry skin, pay close attention to your body and apply a good moisturizing lotion when needed. Although dependent edema is certainly not a condition you’d like to have, it is not the end of the world. 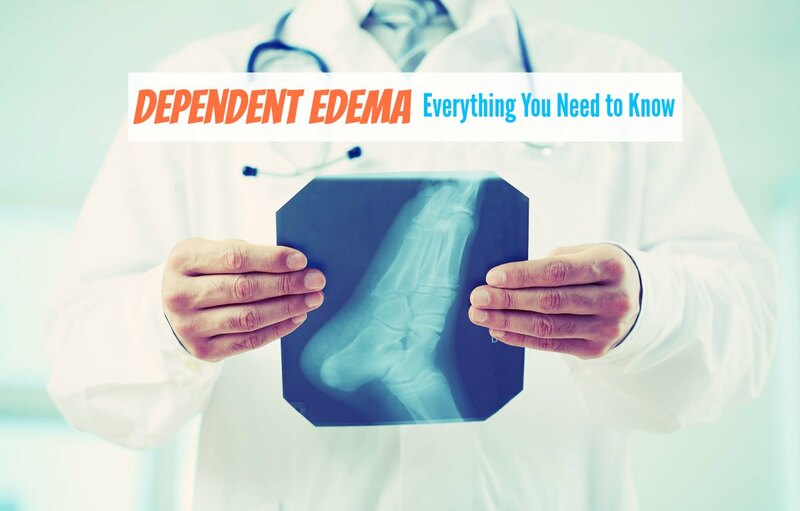 With the help of competent physicians and a few lifestyle adjustments, you can regain the quality of life you had before developing dependent edema.